BIRD - HOG - WILDLIFE - WATERPROOF CAMERA KIT 20M - CCTV - BIRD BOX HOUSE NESTER | The Best Spy Tech Store Online! 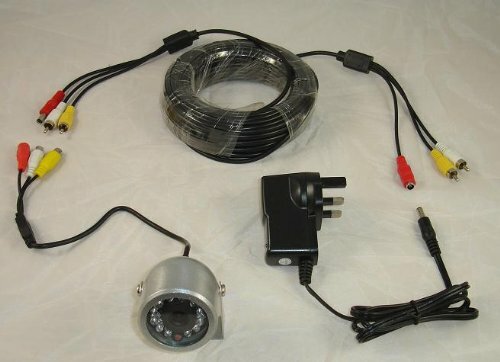 This is an outdoor/external camera and will work in most weather conditions, etc. This is NOT an underwater camera – see our other listings. The power connections (cables plugging into the camera) will need to be sheltered in a junction box – or terminated inside conduit/the building fabric, etc. Best suited for installing in Bird or Hedgehog feeders / nesters (not supplied – see our other listings for wildlife habitats) or as a wildlife camera on an external wall/fence to film bird tables/hog feeding stations etc. Colour picture (in daylight conditions only) up to 10 meters. NIGHTVISION (black and white picture) up to 6 meters.